Hey Empire Avenue Nick the Intern here, and today I'm thinking about display advertising online. I'm not clicking any banner ads, and I figured out how to avoid pop up advertisements shortly after they started relying on obnoxious audio cues, but I am thinking about it, and wondering how effective it really is. Many people utilize Empire Avenue as a marketing tool due to the ability to quickly share content, grow their network, receive feedback, and increase activity on social media. Missions could be seen as an advertising tool you can be utilize to drive interested parties directly to relevant content. On top of that, Missions have an Eaves reward, and provide additional value that can further incentivize people into viewing your content, and joining your network. I have previously mentioned the importance of additional value when trying to build a loyal network, and in that way Empire Avenue helps to add value to your message instantly. While banner ads and pop-ups have the potential to be an annoyance, Missions allow people to opt into the content rather than being forced. People are actively looking for content, and making a Mission of your own enables you to reach out directly to an interested audience. By making a Mission you are approaching the community with both a message, and an incentive. 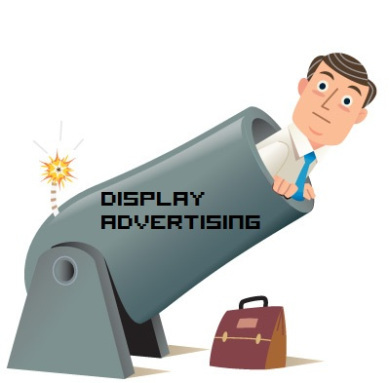 Online display advertising is effective as just that...displaying a brand, but as an actual tool to increase engagement, and building a loyal network it is quite weak. I am not decrying display advertising completely, but display advertising is just another tool in the toolbox, and not the entire toolbox. I think that Empire Avenue provides an easily accessible opportunity to spark these network growing interactions, especially when you are starting from scratch. Whether you disagree or agree, or have some opinions of your own, feel free to comment below, or join the discussion in the Empire Avenue General Community.